Dr. Rust and Dr. Phillips use high quality loupes/glasses for magnification. 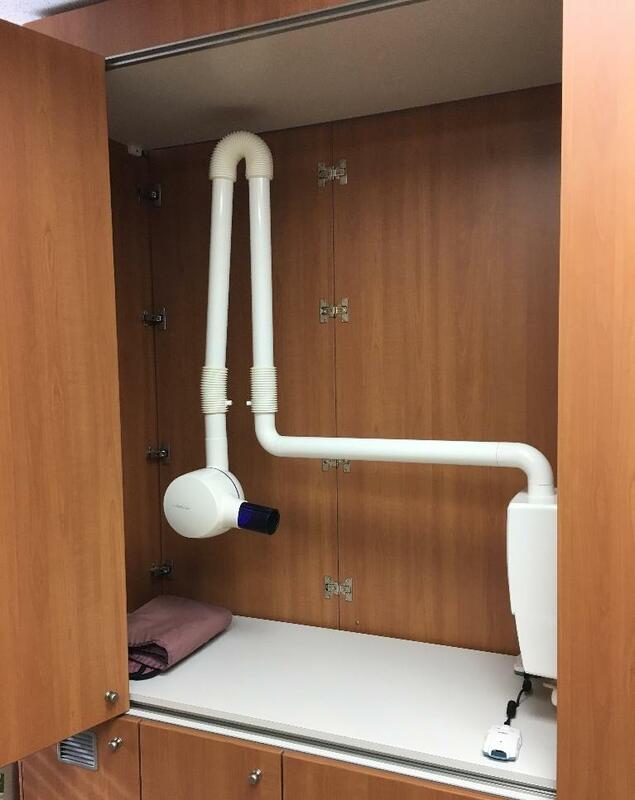 Our dental camera is used often to show problem areas, in cosmetic treatment planning, and communicating colors and shapes to our dental lab. CEREC stands for chair-side economic restoration of esthetic ceramic. This is the mill that sculpts your single visit individually designed crown. 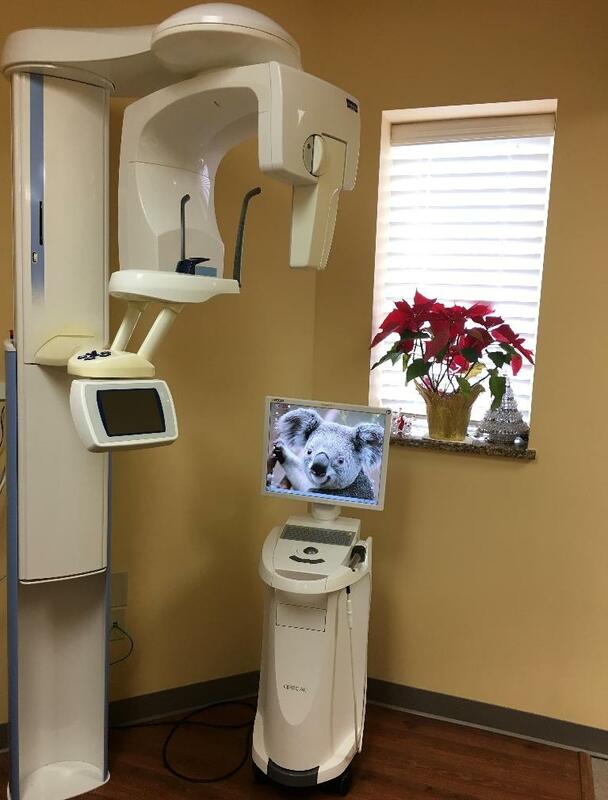 Digital radiographs allow us to take an image of your tooth and view it instantaneously on our computer monitors. Panoramic machine with option for extra-oral bite-wing radiographs for those who can not tolerate intra-oral. 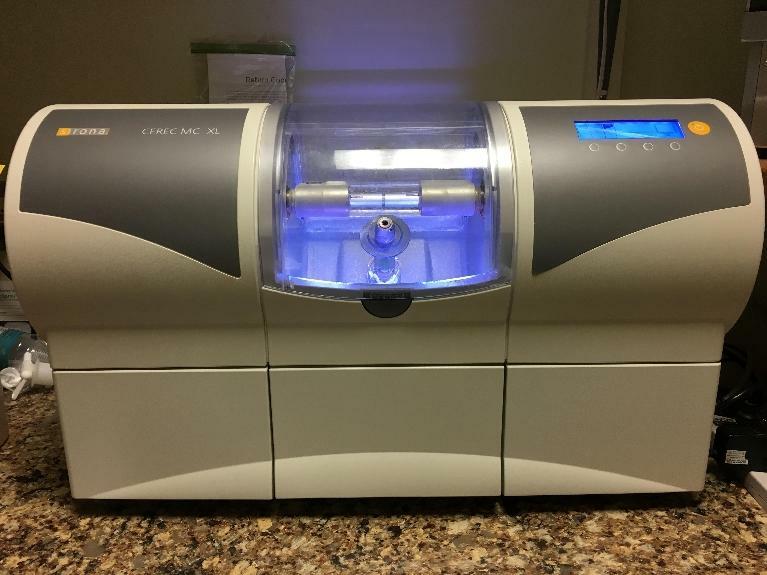 CEREC computer for designing single visit crowns. 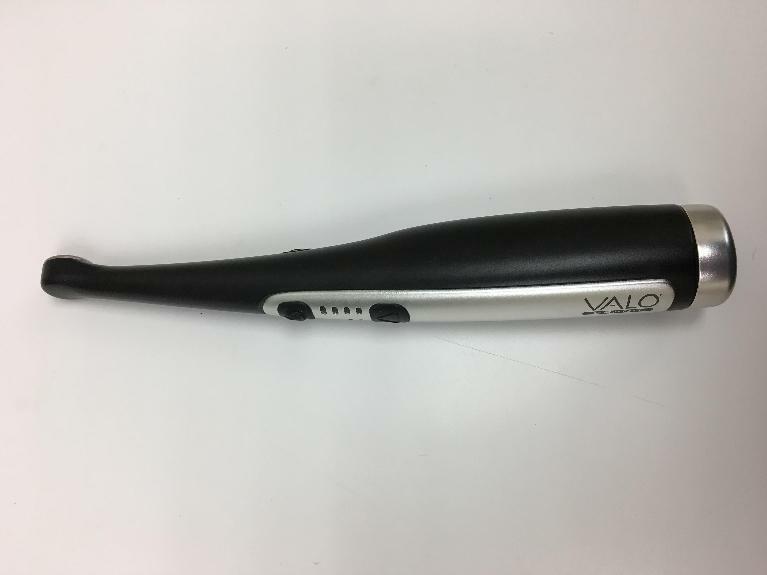 Our Valo LED curing light has a low profile design which is more comfortable to our patients in hard to reach areas and a 3 second cure time compared to a traditional 20 seconds. What if you could see exactly what your dentist sees? You'd probably find it simpler to make informed decisions about your oral health! Intraoral cameras allow you to do precisely that. 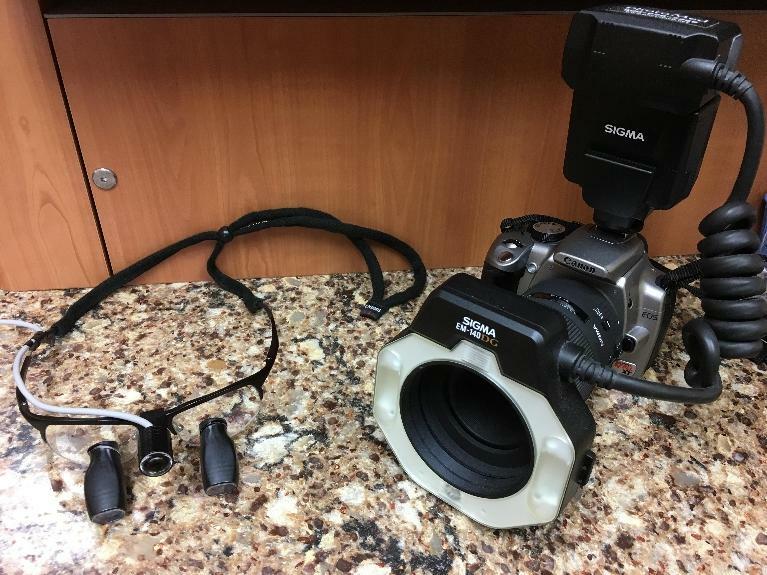 Using a small digital camera embedded in a wand, the dentist can move it around your mouth and transmit the images instantly to a chairside monitor. This allows you to clearly see everything the dentist describes, including damage to the teeth and signs that might indicate periodontal disease.